The Malt Whisky Company’s core business is as an independent bottler dedicated to bottling single cask single malt whiskies without chill filtration or colouring. However, the husband and wife-led group is also a serial investor in new distillery projects. Based in Portknockie on the Moray coast, the company specialises in maturing and bottling whiskies over 20 years of age, its crowning glory being a 40-year-old Glenglassaugh, released in 2014. 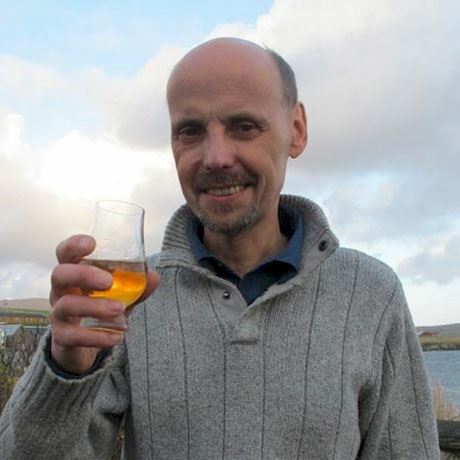 Stuart Nickerson began working in the Scotch business in 1981 when he joined Arthur Bell & Sons. Over the following decades he managed several distilleries, including Highland Park, Glenrothes, Glenfiddich, Balvenie and Girvan, serving as William Grant & Sons distilling director for eight years. He oversaw the sale of Glenglassaugh distillery to Dutch investment firm Scaent Group in 2008, acting as managing director through its refurbishment and subsequent sale on to The BenRiach Group in 2013. But it was in 2004 that Nickerson founded The Malt Whisky Company – not to be confused with Germany’s Malt Whisky Company – as an independent bottler and whisky consultancy in Portknockie on the Moray coast. In 2013, the Malt Whisky Company co-founded the Shetland Distillery Company with Saxa Vord Holiday resort owners Debbie and Frank Strong. Later that same year, Saxa Vord distillery was officially opened in Unst, Shetland. The group also owns a significant stake in the Tipperary Boutique farm distillery in Newtownadam, Ireland.